It’s not often that Irish footballers wade into waters further afield than Ireland or the United Kingdom in their careers. The list of those to have come to Italy is shorter still – Paddy Sloan, 70 years ago, Anne O’Brien in the 1970s Liam Brady in the 80s, Robbie Keane at the turn of the century, and now Stephanie Roche. Few footballers have endured or enjoyed careers like Roche’s. Her time has taken her from Ireland to England, France the United States and now Italy. But not everything has been smooth-sailing for the forward, and for so long chaos and disruption appeared to follow her around. Shortlisted for the 2014 Puskas Award, eventually finishing second behind James Rodriguez, Roche has lived through more than her fair share of turbulent times since. 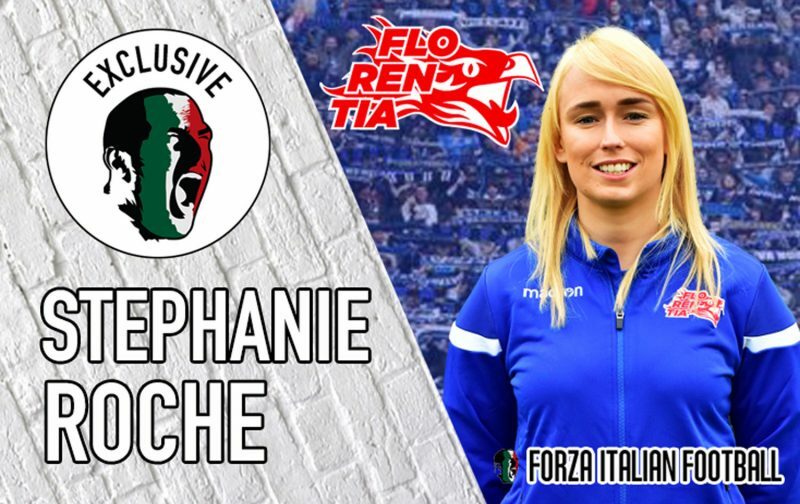 Now plying her trade in Serie A with Florentia in Florence, Roche is settling into life in Italy even after promising herself that she’d never go abroad again having had her fingers burnt in France during a spell with ASPTT Albi, which she admits to rushing into a little blindly. The terms put on the table to Roche were far from ideal, but when the offer was presented to her she was her own representative, venturing into a field of contract negotiations that she knew little of, made all the worse by the fact that it was a discussion carried out between English and French. “I went over and had a trial, trained with the team for two days and then they said they wanted to sign me,” she explained. “There was a girl there who I had played with in Ireland so she was my translator and we were there with the president and the manager. Often lost and overshadowed by the multi-million sums thrown around at the top of the game is the fact that the vast majority of people involved in football, including those in the women’s game, are little more than average people with normal lives, their own struggles and personal problems. “People think that because you’re playing professional football you’re making loads of money,” Roche continued. “But I wasn’t and I had to deal with it as the money came in and try to set myself up for the month to come as best I could. While the road was bumpy in France, the football side of things was largely along the lines of what a professional footballer might expect. Or, rather, at least on-field matters were. “The league there was very good and, to be fair, so was training. “I enjoyed training, I enjoyed the matches, but it was very difficult for me to get on with the girls there because they didn’t speak English, I didn’t speak French and it was almost like they never gave me a chance. It was like they wanted me to speak French within the first week and I couldn’t do it. “I knew a few words and I could ask for the ball and things like that in training but I wasn’t able to sit down and have a conversation and I never felt like they made the effort with me so that was the hardest part. “Away from football, I was pretty much on my own. I had the girl who helped me get over there and another at the start and she was really good with me the first month there but she ended up leaving after a month and a half there and that’s where it started to go downhill. Unfortunately, her apprehensions were validated upon her return to France, when those communication problems came to a head and presented her with an unimaginable problem. In the WhatsApp world, it’s hard to imagine where the plans could have been arranged and communicated without the Irish forward being informed, and even she herself was dumbstruck about how the arrangements were configured without her knowledge. “I don’t know [where or how they were communicating],” she bewilderedly said. “I think I got back the day before the match and that’s when they travelled, I really can’t remember but all I can remember is knowing that I couldn’t do it anymore. Roche had been dealt a harsh hand and was understandably reluctant to move abroad again, but then came another knock on the door, this time from the United States, and the fact that this next approach came from an English-speaking country helped her to have an open mind when the offer from Houston Dash landed. Not only did things not work as planned, but the ending was again catastrophic for the Irish forward, and once more left her feeling harshly dealt with. “I thought I did well. I thought I was showing what I could do. 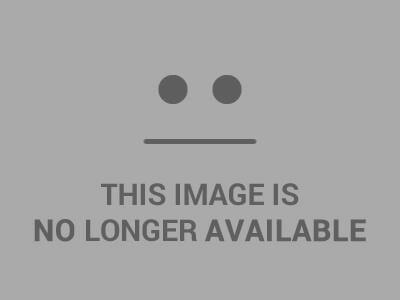 The manager liked me, I have no problems with him but the club was in disarray. But that time was never afforded to her. Despite coach Randy Waldrum speaking highly of Roche to her personally and also publicly, labelling her as “the best goalscorer to come out of Ireland since Olivia O’Toole”. She was waived within three months of her arrival in Houston. “I didn’t see it coming at all. I never once thought that I wasn’t doing well or that I wasn’t going to stay. Dean [Zambra, Stephanie’s boyfriend and also a footballer in the League of Ireland], was with me and he drove while we were there had driven me to training [on the day of her release]. “I’d had an email the night before from the GM, which was a bit of a red flag, asking if I could meet him the following morning. As soon as I got there I realised it wasn’t good. Randy didn’t even look at me. I knew it was bad. “I was told that the club needed defenders and that it was a tough decision. I just thought ‘what!? I’d moved my whole life there and just like that, it was over’. I tried to plead my case, but they said there was nothing I could have done, so I just conceded. “I was calm, thanked them for the opportunity and left. We moved there and tried to make a life for ourselves, but it completely put a stop to all of our plans. Given the track record of chaos, the decision to move to Italy, of all places, is one that it would have been easy to understand her not taking. It’s undoubtedly a phenomenal country for many things, but organisation, structure, and a desire to follow rules aren’t really top of most Italians’ lists. Nonetheless, Roche gambled and went against the promise she made herself after her France adventure blew up. The not going abroad side had already been rendered null and void by playing in Houston and with Sunderland since, but now she was moving to a non-English speaking country again, and possibly the most chaotic of those in central and western Europe. Remembering her previous spell out of the comfort zone of English-speaking countries, Roche went along with the early discussions, but admittedly had no intentions or expectations of making the move. “I came over here with negative thoughts in my head thinking that I wouldn’t sign,” she said. “I thought I’d come, be polite, meet the people and get an idea of the level in Italy. “I remember getting here and seeing the players training with GPS systems and heart monitors and thinking ‘okay, that’s one step towards being professional’. It was one tick straight away because a lot of clubs don’t do that and you’d be surprised by how many don’t. “As soon as I saw that it perked my interest a bit, then the quality of the training was really good and the girls surprised me with their level. I really felt like I needed to get fit and then get better to compete. “The club paid for my flights, they met me at the airport and they brought me to the hotel. They put me up in the centre and every day they picked me up, brought me to training and then brought me back after. I was looked after really well and while I wanted to see what else was out there I was moved by how much of an effort they made and I think I knew then that I’d sign. “I looked for all of the bad things I’d seen everywhere else and made sure they weren’t happening again and it was all good here so I said I’d give it a shot. I couldn’t let one bad experience put me off going to a foreign country again. Despite her height and presence, Roche is a technical player, which should make her well-suited to life in Serie A. “I think it’ll suit me here, it’s quite technical,” the 29-year-old said with optimism. “It’s fast-paced and physical but not as much as America, they like to get on the ball and play. I’m not a very physical player, I like to have time on the ball and I think I’ll have a bit of that here. Arriving in Italy aware of the defensive stereotypes that still hang over its game from the days of catenaccio, Roche acknowledges the appreciation of good defending that exists but also explains that there’s a genuine desire to take the shackles off those more attack-minded players. “Florentia know how to sit in but then go. We’re tactical about when to go forward and when not to, but every player knows exactly what they’re doing. “We kept it tight at the back when we played AC Milan [earlier in the season] but the forwards were told that when they got the ball they were to attack, to go forward. Juventus Women and Florence’s other team, Fiorentina, played in front of a packed Allianz Stadium last weekend, in what was a record attendance for women’s football in Italy – 39,000 – showing that the female game on the peninsula is on the up. With Atletico Madrid and Barcelona playing in front of over 60,000 just one week earlier, there is plenty to suggest that women’s football is taking steps forward, and that appears to be shown in structural improvements beyond what’s seen on the pitch. “I knew people who played here before and they said that the players and talent are there, but the structure was missing,” Roche explained. Florentia are still a relatively new club. Founded in October 2015, the Tuscans have won a title in each of their three full seasons so far. Gaining promotion each year by lifting Serie D, Serie C and Serie B along the way. In Serie B, the Rossobianche stormed their way to the top, scoring an astonishing 123 goals and conceding just 16. Nineteen games into this season, they’re comfortably in sixth place, but still ambitious and aiming high. “The club have done really well. The president has put a lot of time and resources into it and he’s not just here to be in Serie A, he wants to compete and wants to see us do well. Adapting to life in a new country is never easy and it’s something that often proves problematic for English and Irish players abroad, but Roche is taking things in her stride. “It’s been good. I live in a nice area and it’s easy to hop on a bus and ramble around the city. “I’m a keen cinema-goer though, so it’s hard to find somewhere to go to watch films in English because a lot of places only do them on Wednesday or Thursday nights but at Sunderland, that’s all I did in my spare time. So the hardest thing has been not going to the cinema. “The food is obviously unbelievable. I’m happy enough and generally, all I need is a bed, a house and food and I’m happy enough. “A big difference between here and France is the people here are so friendly. I don’t mean that to sound stereotypical and I don’t think French people are rude, but I was in a smaller city in France and a lot of people couldn’t speak English so I never felt the friendly vibe. But here, if I make the effort and try to speak to them first, they’re really nice.